Appeal won’t stop intense investigation by journos – they will go for it after being Conned by Libs twice. MT “Every_Day_Man: @margokingston1 Thought this might be of interest:. nah-seriously.blogspot.com/…” One citizen’s reflection on an incredible week! Given that Justice Rares basically said #AshbyGate was a plot to bring down the GovT why has no media outlet reported who is funding #Ashby? Wonder if any of Abbott’s secret donors to his plan to destroy Hanson in the courts funded #AshbyGate? Have I missed something ? Oh no, there it is on p. 17. 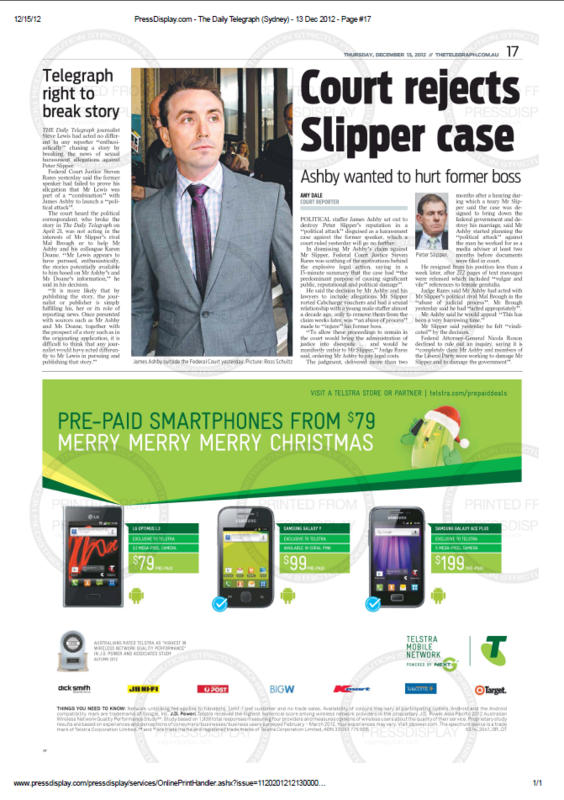 @CraigEmersonMP Didn’t The Tele go hard page 1 with the Ashby writ? Their scoop? Hardly fair to readers to downplay the result. In my opinion that is verging on corrupt and I would not consider the editor to be a journalist. 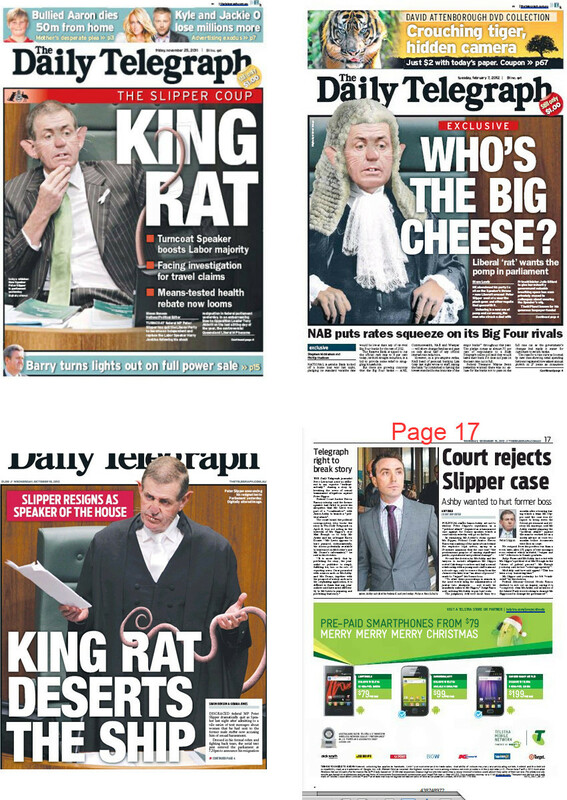 @margokingston1 @CraigEmersonMP The headline ‘Court rejects Slipper case’ is wrong too. 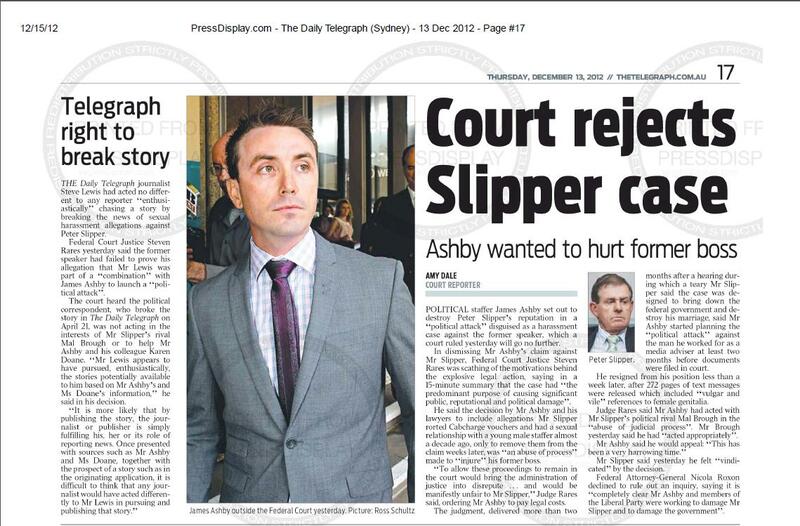 The court upheld Slipper’s case & rejected Ashby’s. @CraigEmersonMP @margokingston1 If it bleeds it leads, if it’s a smear let’s hear, if it’s the unadorned truth, Struth Mate how uncouth! If the Ashby/Slipper judgment had happened in the US, the Washington Post would be pouring all its investigative resources into it. Hockey lied about meeting Brough. Pyne lied about meeting Ashby. 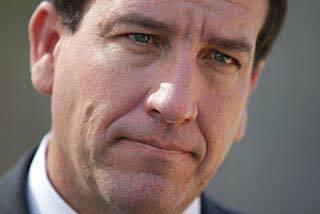 Brough lied about meeting Ashby. Bishop lied about Blewitt. See a pattern? @CraigEmersonMP Does the code of ethics have anything to say about such manifestly unfair coverage? 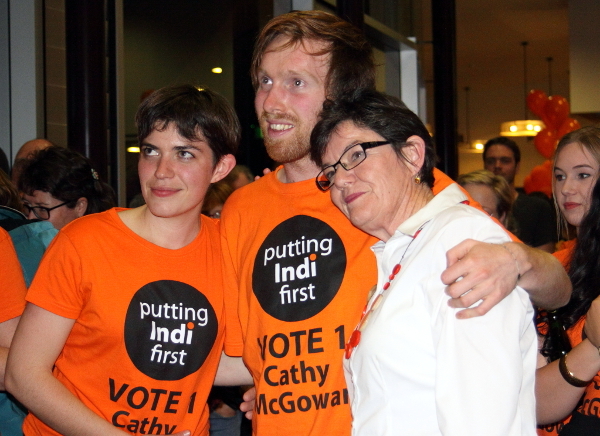 I congratulated @latingle & @jesswrightstuff. Send links and glad to do same to all who had a go! @cameron1971 @margokingston1 Both are noble pursuits.As a well respected former member of Press Galley, Margot has standing.Her views count. Who cares? Maybe an expert in press council process could draft a complaint and concerned citizens could sign up? Is the press council or julian disney on Twitter? @CraigEmersonMP why aren’t MSM following this further? 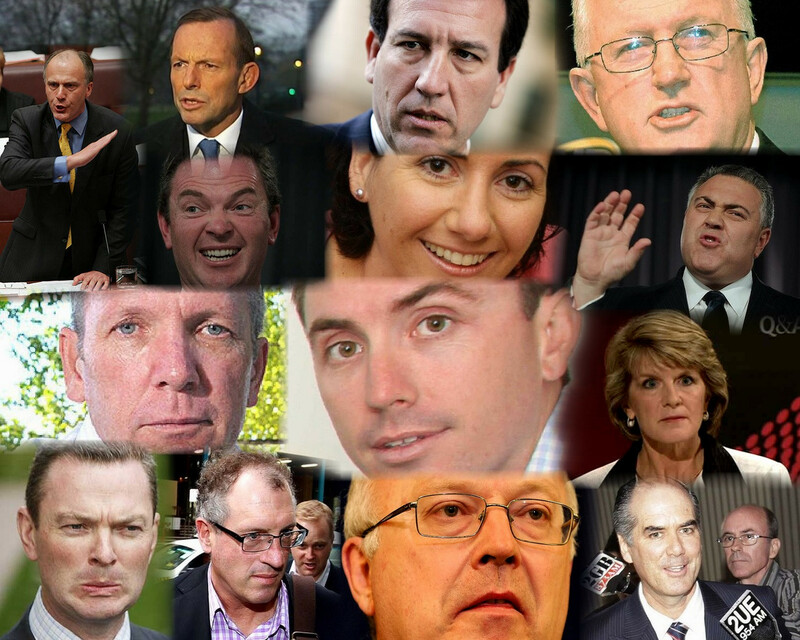 LNP had tried, convicted and hung slipper…now they go quiet. It’s v wrong. 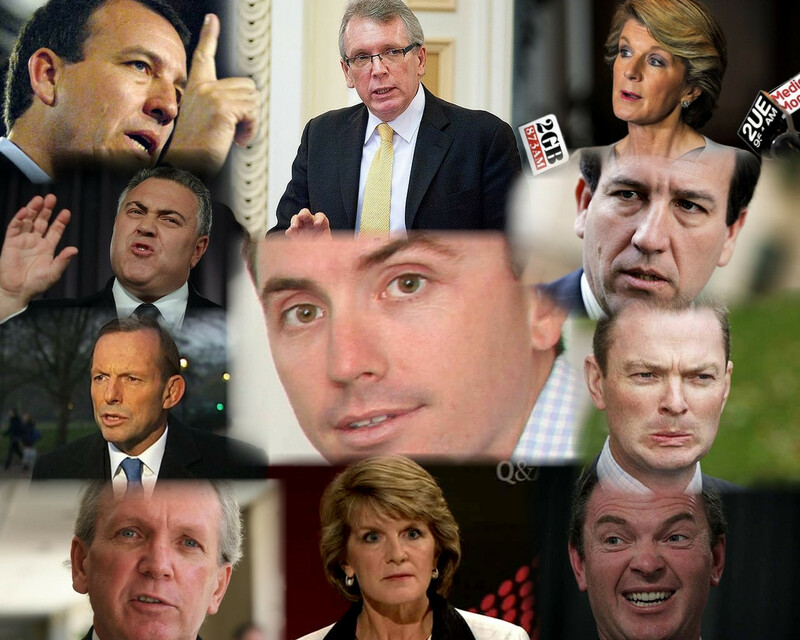 How social media put truth into play on AWU smear abc.net.au/unleashed/442572… by @timdunlop. Reckon it was phase 1 of twitter blowback. @margokingston1 @Pollytics The DT & stable-mates will plunge into an anechoic zone on this. 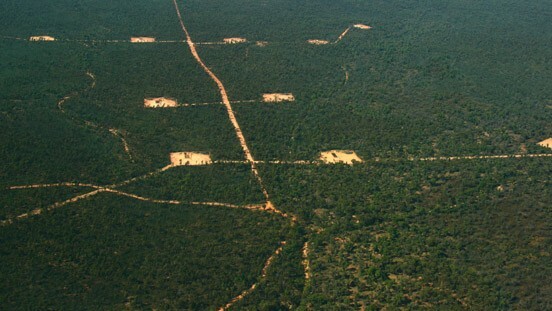 “@geeksrulz: @SabraLane to PM: Has the Government over-egged this? – Here’s your answer Sabra youtu.be/rD1lpAiDXfw”Our media is bent. … In my day # ashbygate would have filled pages in news and on Sat. features. What has happened and why?Please explain! I’m in shock. @margokingston1 dunno. You explain it to us. You’re a journalist. @MargaretOConno5 Left journalism 7 years ago. Withdrew from scene to recover my health. Is it speed of news? Fewer journos? Management? Help! 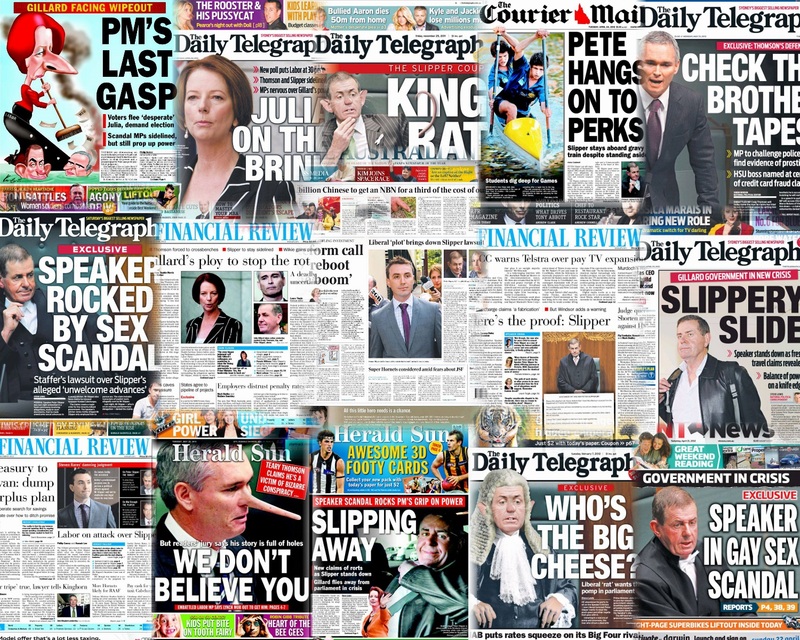 Can’t find a news story on Gillard/Abbott response to #ashbygate in S or M Murdoch tabloids. Or any trace of story. Can’t be true. That can’t be true – prove it @Thefinnigans! To everyone? But doesn’t she cover social media in Canberra? @margokingston1 @lynlinking @latikambourke Me too. Keen to know if JBishop was questioned on her lie about discussions with Blewitt. @ABCNews24 Hi. I’m told @latikambourke interviewed Julie Bishop this morning, but I can’t find a transcript. Could you direct me to it? “@go4hat: @margokingston1 twitter.com/tveedercom/stat…” Oh yes, here’s the transcript – I’m following @go4hat! No mention of #Asgbygate. 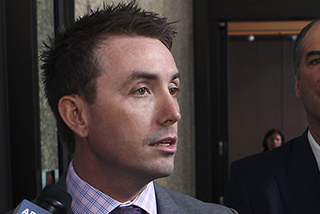 I am appalled & disturbed at failure of @latikambourke to mention Ashby saga in Bishop interview. But won’t lodge complaint about a journo. 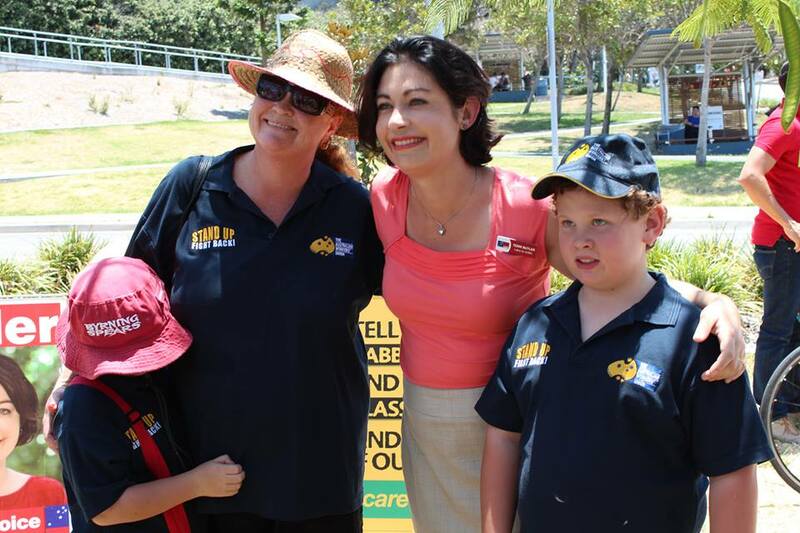 I am and have always been a strong supporter of the ABC. Its complaints system is rigorous & fair. Any viewer can complain. I won’t. OK, is it incontrovertible that there is no mention of Ashby story or response of the PM/ Opposition leader in today’s Tele and Herald Sun? @PollBludger Thank you, William. You got the page? Can’t find it. Herald Sun, anyone? Advertiser? Courier Mail? Gold Coast Bulletin? etc? @PollBludger Ok – anyone got or can get today’s hard copy Tele? Perhaps we could get the info for hard copy and online? So what now for serous media? My June ideas and those of others in @abcthedrum at abc.net.au/unleashed/408690…. Maybe a Coalition of the Willing? I reckon undercover twitter transcript we got yesterday forced their hand. Ben, do u have a list of MSM editors? They are usually the problem, not the journos.